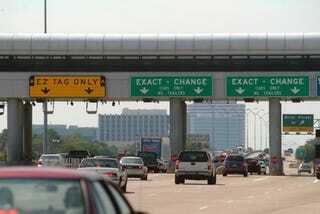 The Orange County Register recently did an in-depth investigation to find that hundreds of thousands of people are blowing by tolls, not paying a dime and not being penalized. This is due to a special confidential plate program that was initiated 30 years ago to protect police officers from criminals by not including home address information with license plate registration. Since then, this program is open to employees and families at 1,800 different state and local agencies. There are nearly one million cars registered under the program, protecting much sought out individuals like museum guards. People can blow by tolls and not suffer any consequences because there are no addresses linked to the license plate numbers. Not surprisingly, people have really begun to exploit the program. Individuals can exploit this program anytime cameras are used to snap pictures of traffic violations. This can include tolls roads, red light cameras and parking places. The Orange County Register's attempts to calculate money lost came up with $29,500 in tolls over five years between 14,535 unpaid trips by 3,722 vehicles, but regardless, the average, toll paying individual is paying for this in the long run. The biggest violators are Dwight and Michell Storay, the prior is a parole agent, who has racked up 622 violations.